A fan of spacecraft operations and space systems engineering, founder and chair of Bath SpaceSoc, leader of Team Bath Roving, licensed radio amateur, and Chair of UKSEDS. Will founded Bath SpaceSoc in April 2016 and has since led it through its development into a UKSEDS branch with several hundred followers worldwide. The Society aims to bring space to as many Bath students as possible, but also uses social media and its website to reach a wider audience. Currently, SpaceSoc's Team Bath Roving is taking part in the UKSEDS lunar rover competition and the wider Society is building a fluxgate magnetometer for measuring the Earth's magnetic field to almost research-grade accuracy, leading to improved predictions of Northern Lights around the country. 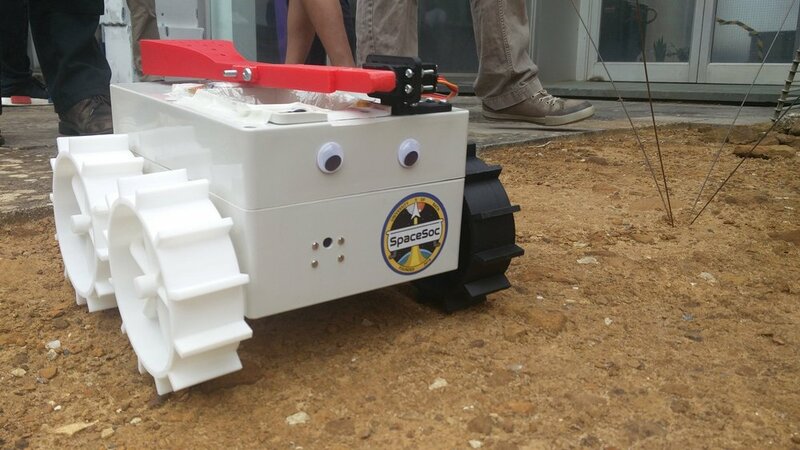 SpaceSoc's flagship project, the lunar rover, last year served as a great way of bringing together students from across the engineering faculty, with many disciplines and all undergraduate year groups represented. After a great deal of hard work, the team came fourth in the competition out of 15 teams that registered, and are hoping to do even better this year. They post regular updates throughout the design and build processes and you can follow their progress on Twitter and Facebook.